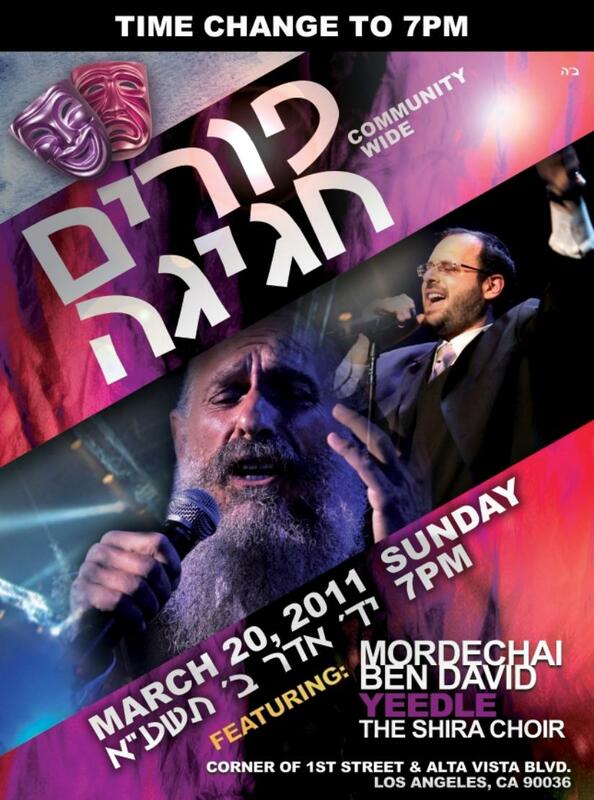 Join MBD, Yeedle & Shira Choir in L.A. this Purim! A Purim Chagigah in L.A. with MBD, Yeedle and the Shira Choir! March 20th, 2011. Sunday! On the corner of 1st Street & Alta Vista Blvd. Starts at 7 PM!